Kawasaki Motors (Malaysia) Sdn. Bhd. 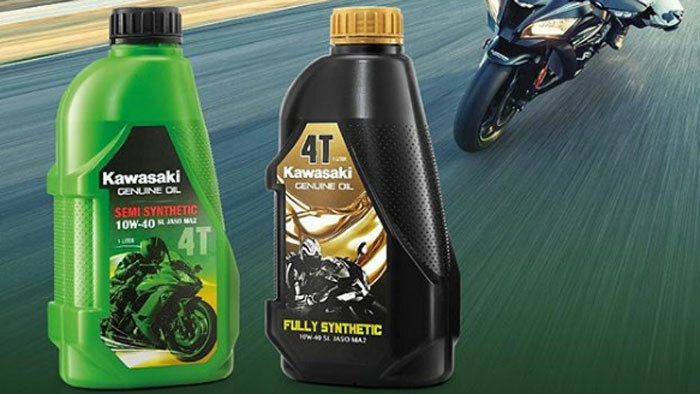 has launched a new range of motorcycle lubricants in collaboration with Japanese oil company Idemitsu Kosan Co., Ltd.
Kawasaki Motors (Malaysia) has chosen to partner with Idemitsu Kosan because of its wide-ranging industry experience, as well as its technical expertise and strict quality control, the company said. Kawasaki Motors (Malaysia) is the franchise holder and sole importer, assembler, and distributor for Kawasaki motorcycles, jet skis, ATVs, Mules, RUVs, power products, spare parts and accessories for Malaysia and Brunei Darussalam. The new Kawasaki motorcycle engine oil is available as a semi-synthetic and a fully synthetic formulation in SAE 10W-40 viscosity grade. Kawasaki motorcycle lubricants are available in all Kawasaki GT World, Ninja Shop and Green Station outlets. The price per litre is RM29.90 (USD7.13) for the semi-synthetic formulation and RM39.90 (USD9.51) for the fully synthetic formulation. Kawasaki Motors says the new lubricant formulation helps improve fuel efficiency, gearbox shifting action and extend wet clutch performance in all Kawasaki motorcycles. In addition, Kawasaki motorcycle lubricants are formulated to help reduce engine wear during cold engine starts.